The Chinese government requires him to submit scripts in advance of his commercial performances — that gets him a permit to tell jokes. He also has to provide video of someone reading the comedy lines aloud. Government censors have told him to remove jokes not for political content, but for being too rude. “They’ll decline you if it’s too obscene or dirty; you can’t swear on stage,” he said. When Mr. Xu travels to Hong Kong to perform, he can put the swear words back into the script. 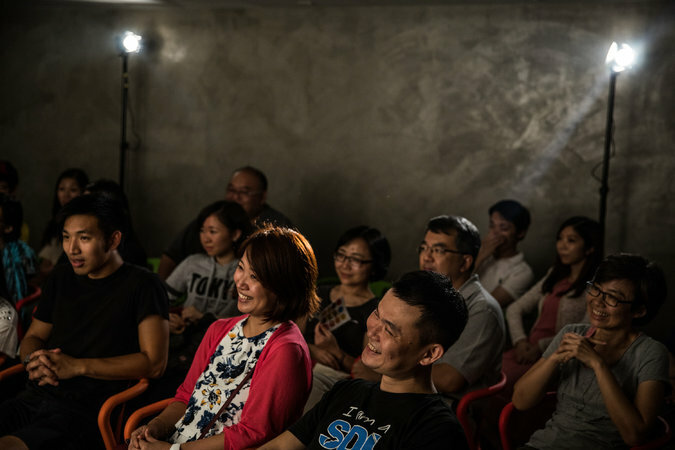 With its more hands-off local government, Hong Kong has developed into a hub for touring comedians from Asia and further afield, though its scene is fairly new: Its first full-time comedy club wasn’t founded until 2007. 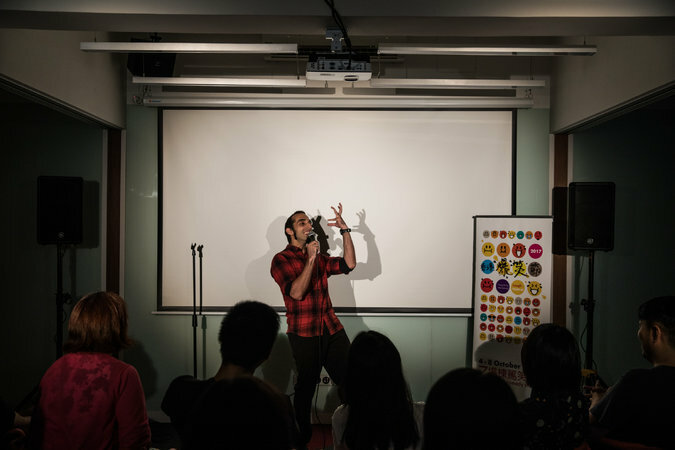 Vivek Mahbubani, 34, is considered one of Hong Kong’s best and longest-serving local comedians, even though he only started performing 10 years ago. Mr. Mahbubani performs in both English and Cantonese, sometimes switching between languages within the same joke, and his material tackles local concerns: Hong Kong’s subway system and his mistreatment by police officers as a Hong Kong-born, ethnically Indian resident. Mr. Mahbubani said Hong Kong’s comedy scene was diverse and somewhat segregated, with some comedians catering to expatriates with material that deployed exaggerated use of Asian accents, which Mr. Mahbubani felt was lazy. In bars further away from the glittering night life of the central city, young comics tell jokes in Cantonese, the dominant language in Hong Kong but one on the retreat elsewhere. The city’s annual comedy competition is split into English and Cantonese sections; Mr. Mahbubani is the only person to have won both. A semiautonomous city rocked by China’s efforts to exert political influence, Hong Kong has become something of a beacon for comedians seeking to push boundaries. Sorabh Pant, a popular Indian comedian, recently tackled the topic of democracy while on tour in Hong Kong. He joked that Hong Kong’s election of a chief executive sympathetic to Beijing showed how the territory was just the latest acquisition by China. Mr. Mahbubani said the local media’s vigorous use of satire and its criticism of the government helps shield the local comedy scene from government scrutiny. That is not the case in Singapore, where Jinx Yeo, 37, performs. The soft-spoken Mr. Yeo is referred to by fellow comedians as one of the “wise men” of the Asian comedy scene, even though he only started performing in his early 30s. He grew up watching xiangsheng, or cross talk, a traditional style of Chinese comedy where lines are typically traded between two performers. Asian audiences have slowly learned the conventions of Western-style, single-person stand-up, he said, and now appreciate the value of raucous laughter as reward for a joke well told. Mr. Yeo has made a full-time career in comedy, even though there are no comedy clubs in Singapore. Most of his performances take place in bars on weeknights, and he supplements his income with lucrative corporate shows. In another joke, he imagined what would happen if Singapore legalized adultery in the same way the city-state had legalized protests: only if reported to the government in advance, and only if taking place in designated public parks. Mr. Yeo said censorship is the biggest obstacle facing Singapore’s comedy scene. And comedians performing in bars had little opportunity to leap to television, as promising comedians in Western countries do, because their best material was unlikely to be approved. Despite the challenges, the comedians said they were committed to building up the comedy scenes at home rather than forging more comfortable careers overseas. Mr. Xu has recently started his own comedy club in Shanghai. 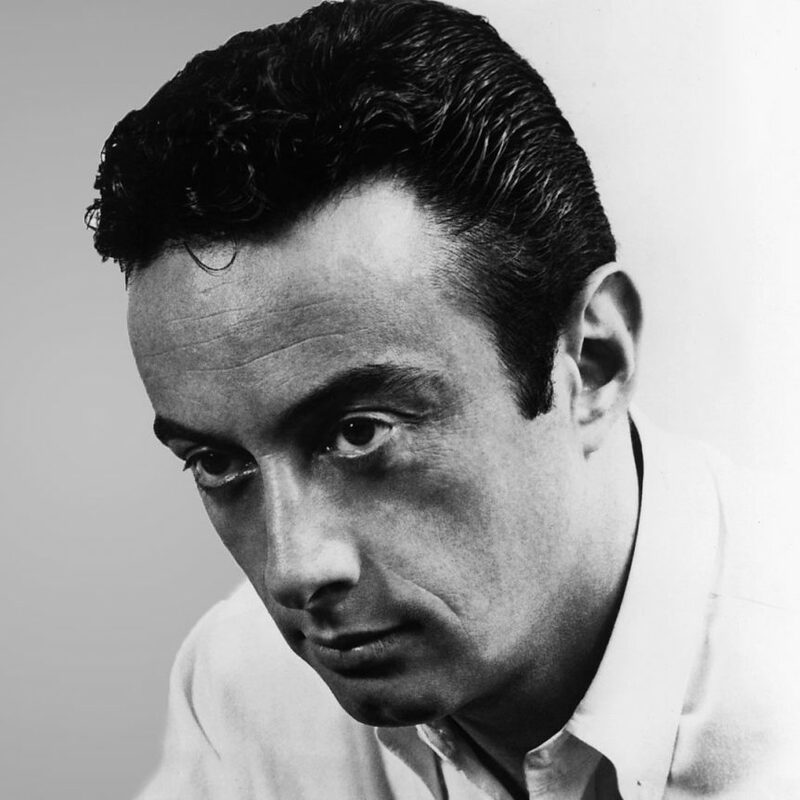 He has steered away from political humor in his work because he did not see a point in making himself a martyr, or risk destroying his career, just as he was helping to pioneer a new comedy scene. He agreed Chinese audiences were coming around to the idea of stand-up. “When I used to post my videos online, people didn’t understand what stand-up comedy was and the comments were quite harsh,” he said. But now he predicts “exponential” growth for stand-up in China. In Malaysia, Hannan Azlan, 22, has been winning fans in the local comedy scene after going full-time in 2016. She was the youngest ever person, and the first woman, to win the Hong Kong International Comedy Festival, and since then gigs have rolled in, including spots at this year’s Edinburgh Fringe festival. Ms. Azlan’s sweet-voiced comic songs skewer sexism, racism and gender stereotypes. But she said she wasn’t interested in pandering to liberal audiences elsewhere; one of the tests of her success was whether she could perform her edgiest social commentary in more conservative Malaysia.